Posted on August 6, 2015 at 7:17 pm. Can our moon help fuel an energy-hungry Earth? Work is in progress to build equipment that can demonstrate the extraction of helium-3 (3He)–helium with two protons and one neutron–and other volatiles from the moon’s resource-rich soil known as regolith. Volatiles are chemical elements and chemical compounds with low boiling points; the moon is a treasure-trove of volatiles such as hydrogen, water and carbon dioxide that can be found particularly in the extremely cold, permanently shadowed areas of the moon, such as in Shackleton crater at the moon’s south pole. The NASA Space Technology Research Fellowship (NSTRF) program is funding the design of a lunar solar wind volatiles extraction system. Through the Fusion Technology Institute at the University of Wisconsin-Madison, Aaron Olson is conducting this groundbreaking research. Here on Earth, there is not enough 3He to support its use for power generation. But on the airless moon, estimates are that at least a million tons of 3He is rooted within the lunar regolith—the result of over four billion years of being bombarded by solar wind. That ballpark figure is extrapolated from lunar samples brought back to Earth by both robotic craft flown by the former Soviet Union and NASA’s historic manned Apollo lunar missions. 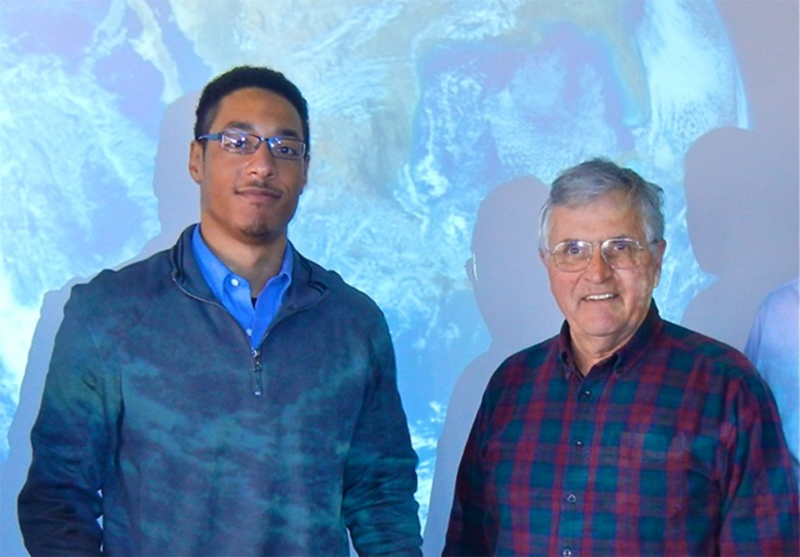 Thanks to the NSTRF grant awarded in August 2014, Olson and his fellow researchers are delving into an “implantation system” to embed helium ions into a lunar regolith simulant provided by NASA’s Kennedy Space Center in Florida. Secondly, Olson is fabricating a counter flow heat pipe heat exchanger for the subsequent diffusion of the helium out of the regolith. Doing so will imitate the extraction of helium-3 from the moon for use in nuclear fusion reactors on Earth. Even if extracting the 3He proves possible, there are still other issues at hand. How will the 3He get back to Earth? Are there fusion reactors even capably of using the 3He? But first things first, Olson adds. “To get things started you’ve got to show something on the ground first,” Olson says. Olson is looking to moving the research toward a demonstration aboard an aircraft that maneuvers in such a way as to create the moon’s one-sixth-Earth-gravity environment. When those research tracks are completed, scaling the processing gear for flight to the moon will be the next step. “You’ve got to test the concept in the real environment,” Olson points out. 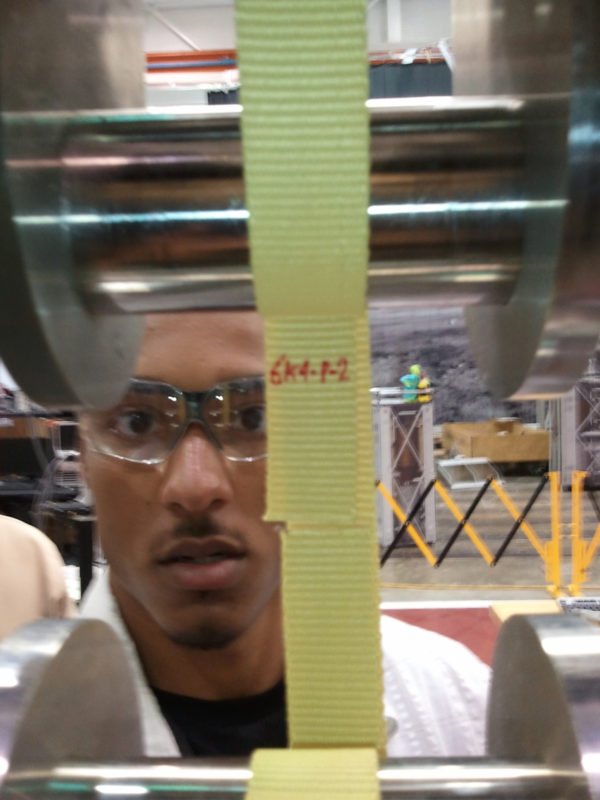 NASA Space Technology Research Fellows perform innovative, space-technology research while building the skills necessary to become future technology leaders. Indeed, the NASA grant came at the right time, Olson says. Olson’s grant connects the university researcher to NASA collaborators as well as agency equipment and software. For his helium-3 work, Olson is affiliated with NASA’s Kennedy Space Center, specifically the in-situ resource utilization studies underway by NASA physicist James Mantovani at Kennedy’s Swamp Works facility. Noted fusion expert Gerald Kulcinski, director of the Fusion Technology Institute, is Olson’s faculty advisor. Admittedly, the research road ahead is a step-by-step adventure, Olson comments. “When I explain the work we’re doing, people are clearly interested in new ideas of how to solve problems or potential problems here on Earth. We are a small team willing to take on the big challenges. It is exciting work,” Olson states. “The big market for helium-3 mined on the moon is here on Earth … and can actually be a part of the power portfolio for our planet,” Olson concludes.